Through Steeped in Soil, your 4-H club will learn the nitty-gritty about soil, participate in a global science experiment, and choose from a variety of hands-on activities to understand the importance of soil health! Members will bury tea bags in the soil to measure how degraded the tea bags become after three months. They will collect data from their experiment and share it to create a collective pool of results that is helping to build a picture of soil health around the world. Join us in learning about soils, participate in a national science experiment, and go outside and get messy! Registration for Steeped in Soil closed March 28, 2019. Registration for 2020 opens January 1, 2020. Have a question about Steeped in Soil? Contact us at communications@4-h-canada.ca or 844-759-1013 ext. 132. 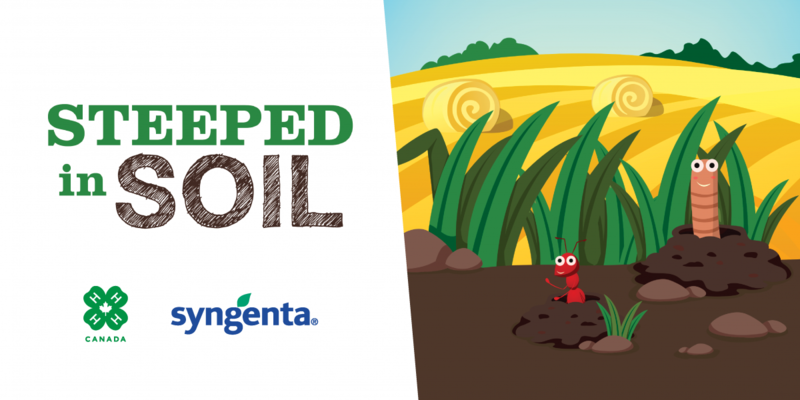 Steeped in Soil is part of 4-H Canada and its partner Syngenta Canada’s commitment to teaching our youth about the importance of building a sustainable future for all.